A Peerwell-funded study recently published in Annals of Translational Medicine found that the digital health company’s patient app for surgery preparation reduced total knee arthroplasty patient’s time in the hospital and discharge disposition. 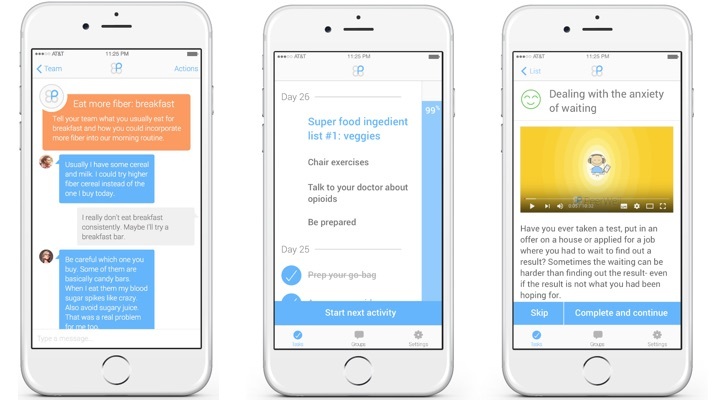 Peerwell’s PreHab app offers health lessons, step-by-step instructions and peer support to help patients facing knee or hip surgeries mentally prepare for their procedure. The program also includes daily exercise and nutrition checklists and pain management education to increase their physical response to surgery as well. Patients who used the PreHab tool (n = 114) stayed in the hospital for an average of two days, a significant reduction compared to 2.7 days recorded among surgery patients who did not (n = 362; P < .0001)). Further, researchers reported that the intervention group significantly less frequently required home assistance (23.8 percent versus 57.2 percent; P < .001), an in-home health aide (21.1 percent verus 31.8 percent; P = .04) or time in a skilled nursing facility (1.8 percent versus 21.8 percent; P < .0001). The researchers prospectively enrolled patients undergoing primary total knee arthroplasty to one of the two study groups. Participants’ procedures were each conducted by one of four fellowship-trained adult reconstruction surgeons at three institutions. Of note, the feasibility study did not incorporate patient-reported outcomes into its assessment of the PreHab tool’s effectiveness, but instead focused solely on outcomes. Since launching PreHab, Peerwell has also released a similar patient app for post-surgical recovery, called ReHab. But the company isn’t alone in digital surgery support — Johnson & Johnson released a website, mobile app and care portal suite tools in late 2017 that looks to engage and educate patients going into surgery.